Food-to-go manufacturer, Around Noon, has won a place in the prestigious Sunday Times Virgin Atlantic Fast Track 100 league table for the second year in a row. The Newry-headquartered business is one of a small number of companies to make the prestigious ranking twice in succession, and it is believed the first food manufacturer in the UK to do so. The Sunday Times Virgin Atlantic Fast Track 100 league table ranks UK private companies with the fastest-growing sales. 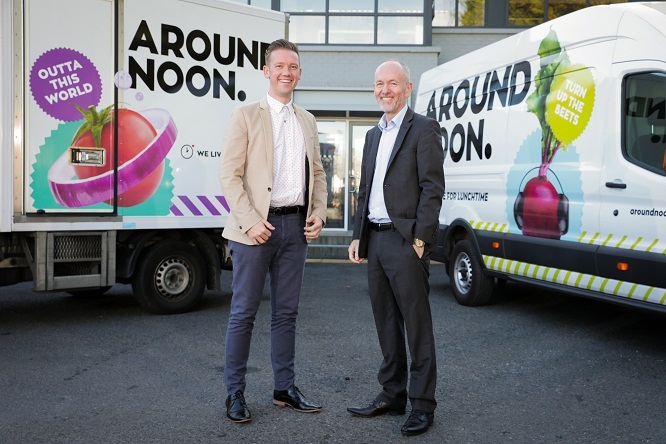 Around Noon has experienced significant growth in recent years as it has increased business with existing clients and acquired a Slough-based business to expand its sales in greater London. It supplies a wide range of sandwiches, wraps, salads, bakery items and cold-pressed juices to leading coffee-shop chains and convenience retailers as well as contract caterers. 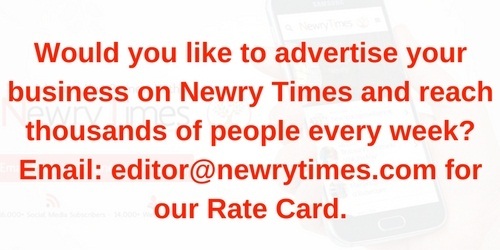 Speaking to Newry Times, CEO Gareth Chambers said, “This achievement recognises the hard work that our team in Newry and Slough have put in to grow our business, as well as the fantastic partnerships we have with our clients. “There are some outstanding businesses in the league table and we’re very proud to be listed alongside them,” he added. Around Noon is one of four Northern Ireland businesses listed – the other are the housebuilder Braidwater, construction and fit-out contractor mac-group, and specialist printer Eakin. They appear with businesses from around the UK, including burger restaurant chain Five Guys, beauty products retailer Charlotte Tilbury Beauty, and brewer BrewDog, which was valued at £1bn last year. Sir Richard Branson, founder of Virgin Atlantic and Virgin Group, which has supported Fast Track 100 for all 22 years, commented, “Entrepreneurs are the lifeblood of UK business and have always been the beating heart of positive change. “In a climate of uncertainty, it’s more important than ever to recognise those entrepreneurs, like those of this year’s Fast Track 100, who are making the world a better place for everybody,” he added. The full league table was published on 2 December as a 10-page supplement with the business section of The Sunday Times both in print and in the digital edition, and on www.fasttrack.co.uk. Congrats to Around Noon, great achievement to make the Fast Track 100 for 2 years running. The gala dinner & networking events are fantastic for building your connections. We at mac-group are proud to be winners for 3 consecutive years (the only Contractor to ever achieve this) we look forward to our 4th award in 2019.